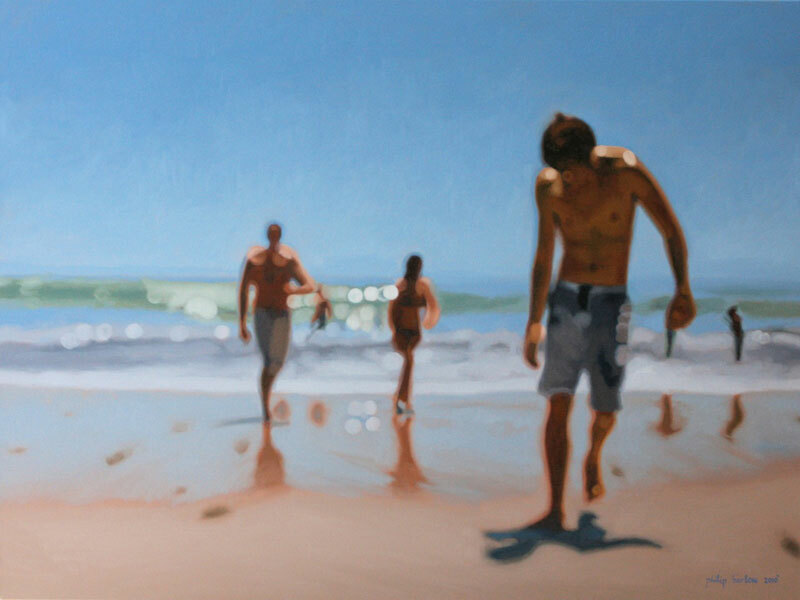 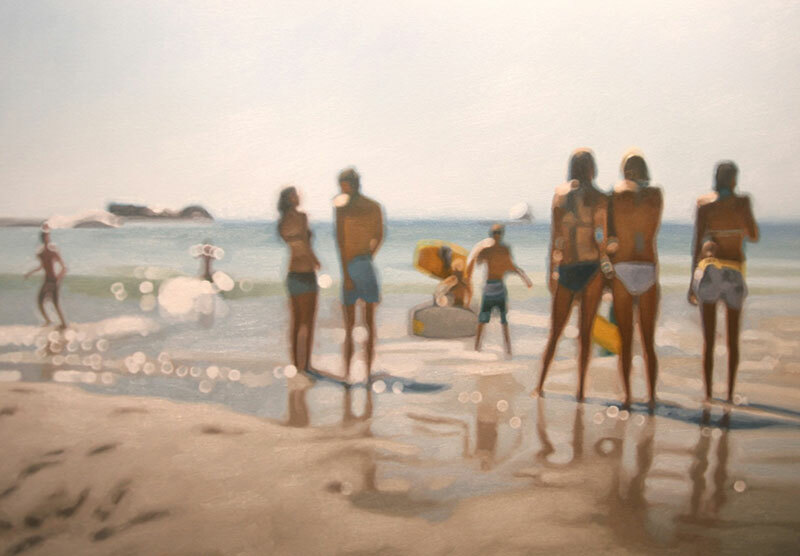 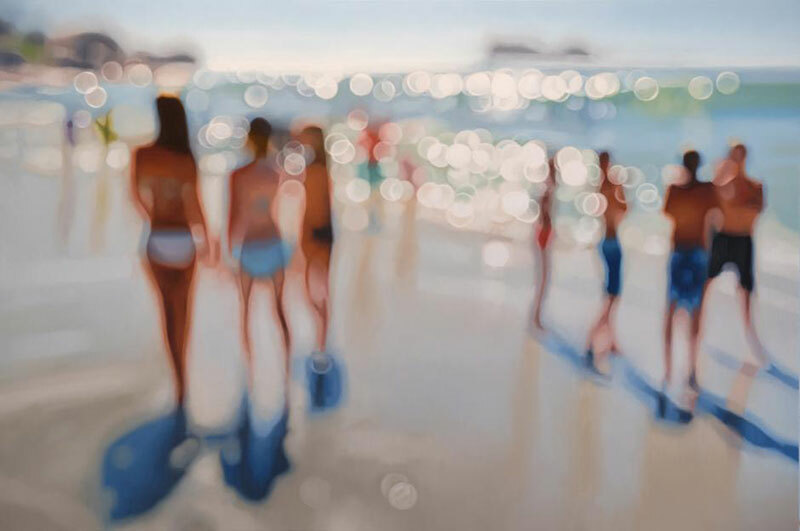 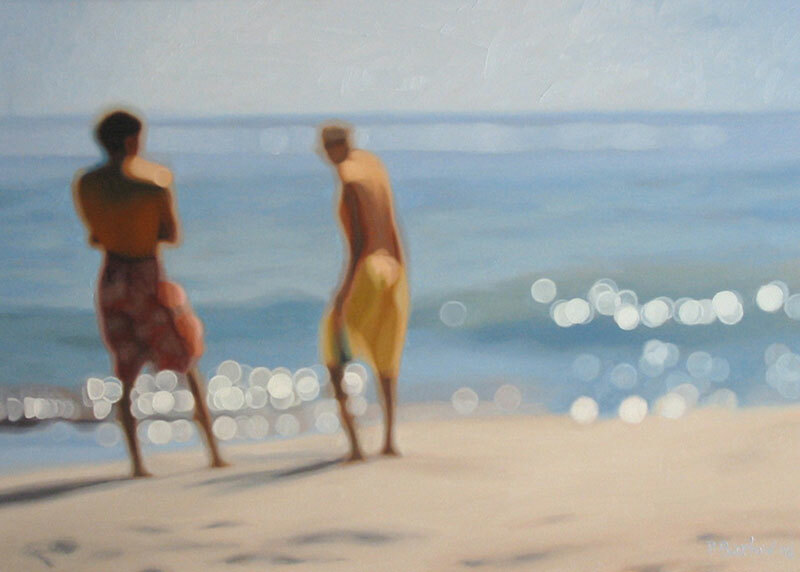 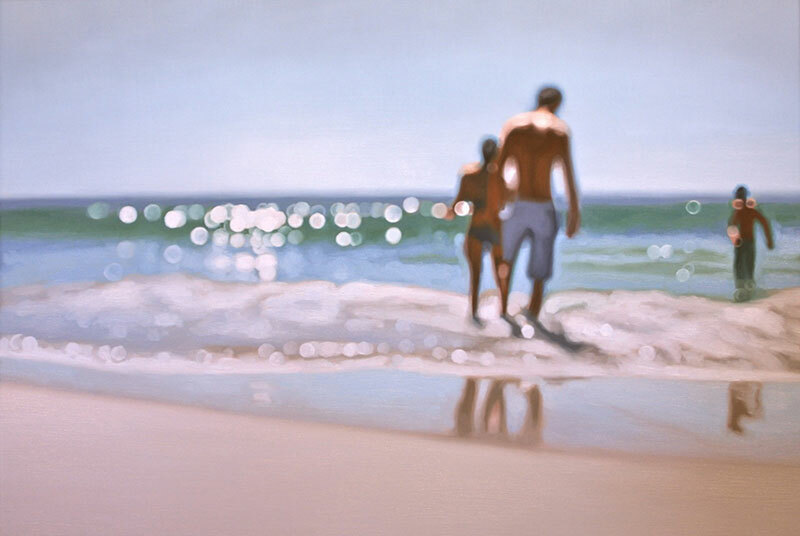 Paintings that give the illusion of blurry photographs of beach life by South African artist Philip Barlow. 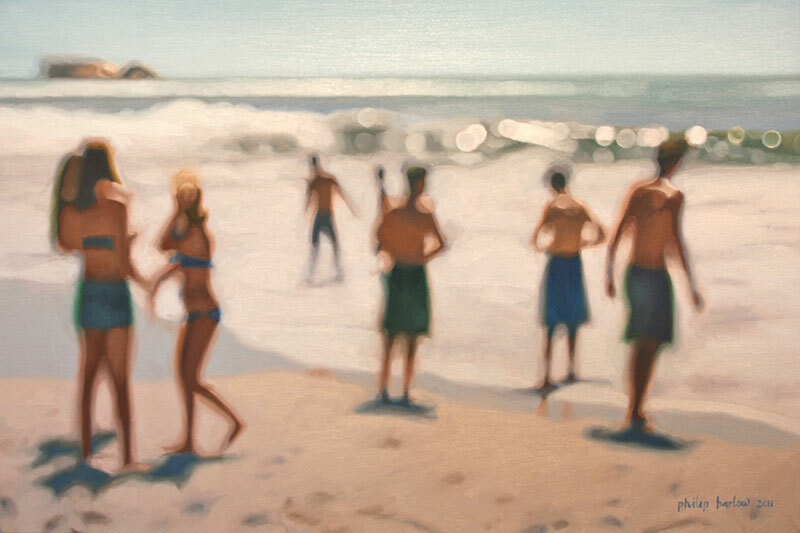 Working in the tradition of landscape painting, Barlow uses the blurry effect to hint at forms and shapes that leaves much to the imagination of the viewer. 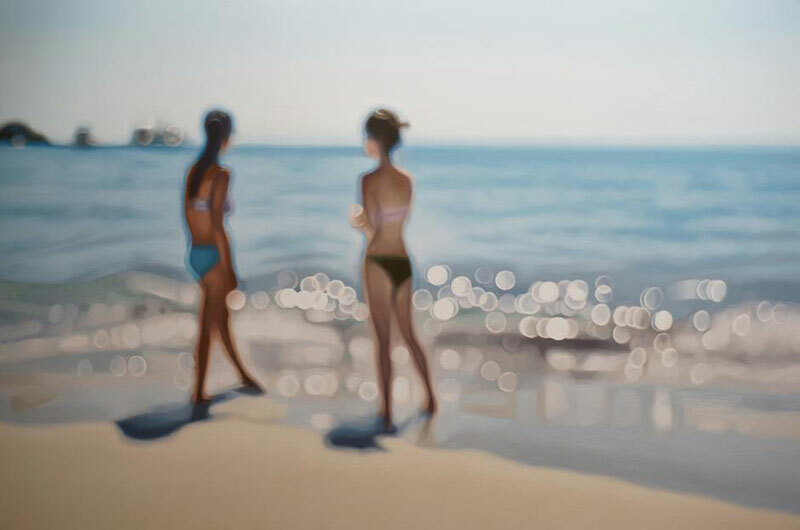 He describes them as "a landscape less ordinary; where the line between the physical and the spiritual realm has seemingly been removed." 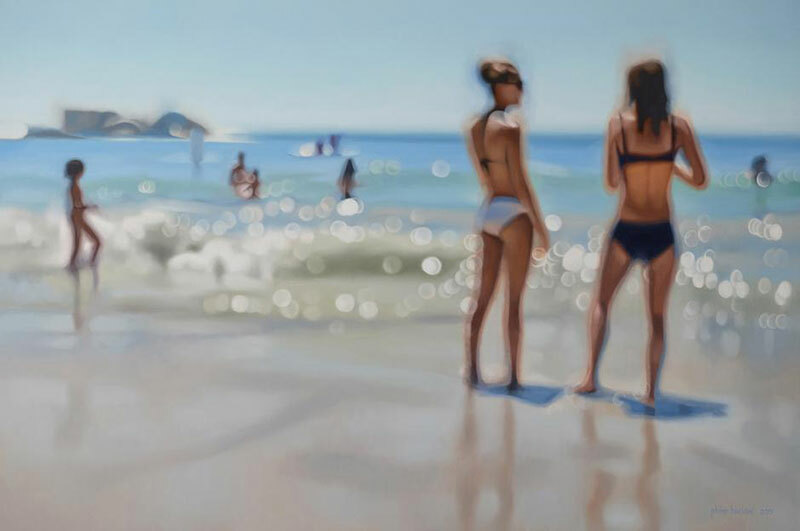 Although not intended to be of a surreal nature, he hopes that the paintings "will seem curiously familiar and convincingly real." 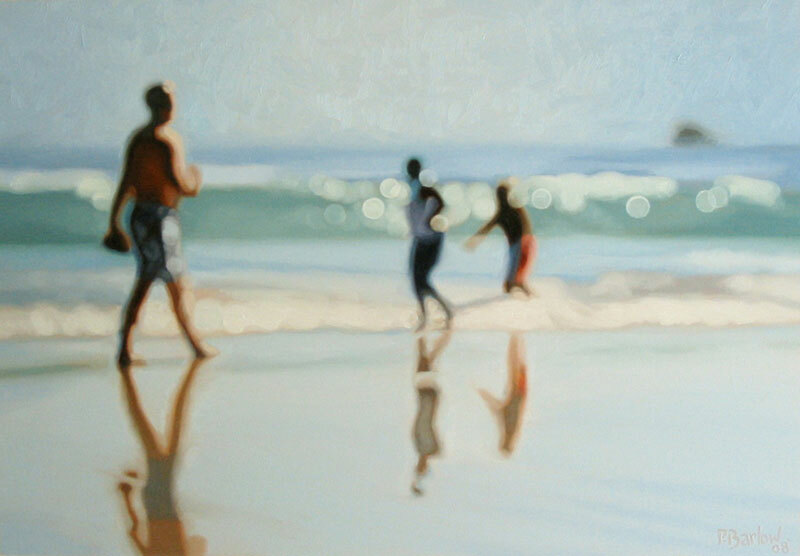 Paintings that give the illusion of blurry photographs of beach life by South African artist Philip Barlow.